Lynda: What is an alcohol hangover? Technically a hangover from alcohol develops when blood alcohol concentration (BAC) significantly drops and peaks when it returns to almost zero. 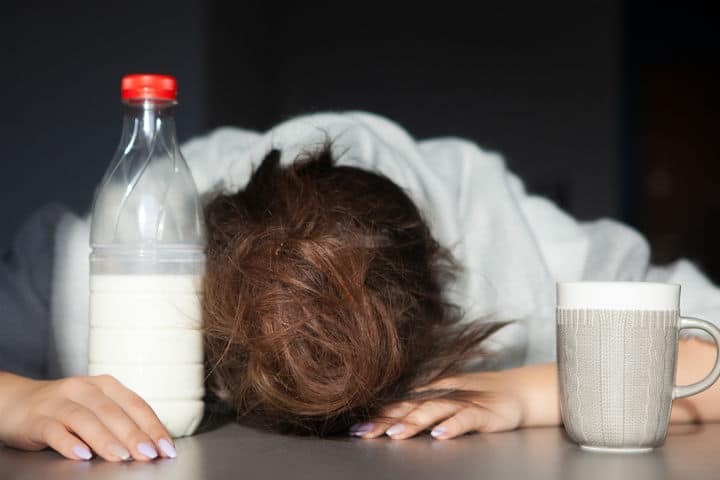 Unfortunately “The Alcohol Hangover” can last up to 24 hours and commonly includes symptoms such as headaches, fatigue, poor concentration, dizziness, thirst, mood fluctuations, cognitive impairment and a general feeling of suffering. Can a hangover be prevented? Outside of consuming alcohol in moderation or abstinence, unfortunately there is no evidence to suggest that conventional or complementary methods are effective for prevention or treatment of the dreaded hangover. While we can not prevent or cure a hangover, there are a few things we can do to reduce it’s severity. Choose your fuel wisely; what you choose to drink can either be a nasty cocktail of chemicals and sugar that aggravate your hangover or a “cleaner” alternative with a few health benefits. Red wine contains many health promoting compounds such as polyphenols, phenolics, flavonoids and antioxidants namely Resveratrol. In moderation these compounds are anti-ageing, have been shown to support cardiovascular health, and even have anti-cancer and a neuroprotective effect in neurodegenerative diseases such as Alzheimers. Unfortunately many people have allergies or intolerance to some ingredients in wine such as alcohol, amines or sulphites. If this is you, another option would be a potato based Vodka with soda water and fresh lime instead. Be mindful as many Vodkas are grain based. Potato based Vodka is gluten and sugar free and is low in carbohydrates. Be careful not to use tonic water instead of soda water, a common mistake. Store bought tonic water is often high in added sugar. Some may also contain fruit extracts and quinine to improve the flavour. If you would like slightly more antioxidant, polyphenol and flavonoid activity go for your organically produced wines. These wines are produced without sulphur dioxides/sulphites, making it a better alternative for those with sulphite sensitivity. Sleep; make sure that you are getting quality sleep, especially a couple of days prior to a drinking “binge”. Sleep deprivation has been shown to aggravate the severity of hangovers. Ask yourself the following questions. Are you getting 7-9 hours of undisrupted sleep most nights? Do you get to bed before 10pm? Do you wake feeling refreshed? Is your room dark, cool and without exposure to light, especially blue light from technology, computers, mobile phones etc? Are you avoiding blue light exposure for up to an hour before bed? If you have answered no to any of these questions, you may need to look at improving the quality of your sleep for many more reasons than reducing the symptoms of a hangover. To find out how you can improve your sleep here. Vitamins and minerals; Dose up on a B vitamins, magnesium and purified water before and after a drinking session. Alcohol consumption depletes many nutrients in the body that are essential for overall health, particularly the nervous and muscular system. The ones we deplete most are water, vitamin B1, B12, Folate, and Magnesium. A lack of these nutrients exacerbate hangover symptoms and add to that generalised feeling of misery. I like to use Magnesium bisglycinate for its enhanced absorption. Know your limitations; We are all unique and our genetic differences may influence the way we respond to alcohol and may contribute to alcohol addiction, dependence and abuse. Geneticist Dr Margaret Smith claims that around 50 per cent of the risk of drug or alcohol dependence abuse is genetic and although there’s no single addiction gene, there’s a cluster of inheritable traits that can make some people more vulnerable. Read more here. Ditch the smokes; if you are a smoker and need another reason to quit, I can accommodate. Studies have shown that smoking can increase the severity of your hangover…amongst other things. So with all of this in mind and with the memory of what a hangover looks and feels like, thoroughly enjoy this festive season well prepared and ready to tackle alcohol in moderation so that you are not having to recalibrate your angry body and mind a week after a night of fun.